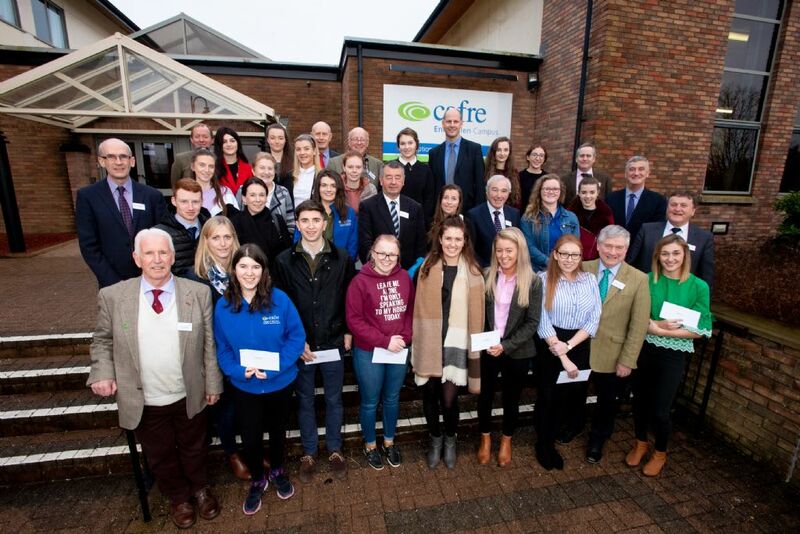 CAFRE Enniskillen College held their annual careers fair on Wednesday 23rd January. A wide variety of equine industry experts attended, show casing their businesses and future career opportunities for the students. Kenneth Irwin MD and Ashley Neely from Bluegrass Horse Feeds attended the CAFRE College careers fair at the impressive facilities of the Enniskillen Campus. After the success of the careers fair from previous years, Bluegrass Horse Feeds where delighted to be welcomed back. The day started with mock job interviews with the students and selected industry experts. This was a great opportunity for the students to experience the style of an interview and gain new skills that will benefit them in their future career roles. Visitors new to the campus where taken on a guided tour of the fantastic facilities available to the students, from the riding simulators to the new technologies that can be incorporated into their classes. The afternoon started off with a panel of guest speakers, chaired by Leo Powell, editor of the Irish Field. Ashley Neely from Bluegrass Horse Feeds and owner of EFEC Nutrition was part of the panel along with Russell Ferris (Chief executive of Wetherbys Ireland), Michael O’Hagan (International Equine Management Consultant) and Susan Spratt (BHS National Manager of Northern Ireland). Bluegrass Horse Feeds were proud to continue their support with the college by sponsoring a bursary for the 2nd year. Kenneth Irwin MD of Bluegrass Horse Feeds said, “It’s a great opportunity to support this fantastic college and the aspiring students. We were delighted to sponsor this bursary, giving the student the opportunity to travel to Kentucky. As we are the Irish partner with Kentucky Equine Research, it is great to continue this connection with the college”. Emily Webb was the lucky student to be presented with the bursary and will be travelling to Kentucky with the college as part of an educational trip in March.